My mom Ellen’s surname, Kudarouskas, is of Lithuanian descent. It was abbreviated when the first family member arrived in America sometime around 1910. Kudarauski and Kudaroski are spellings used today. My great grandfather, Martynas Kudarauskas was from Merkinė, an old farming town that dates back to the 14th century. It’s located in the Dzūkija National Park in the southeastern region of Lithuania. This land, flanked by rich pine forests and rivers, was home to my ancestors, who now rest in neighboring cemetery graves adorned with crosses and flowers. My grandfather, Thomas Kudarauskas was one of many family members who lived in what is now the national park. His home, or at least the barn, still stands, as witnessed by my Uncle Frank in recent years, who “trespassed” to get a peek at his dad’s land. My Aunt Josephine, now of age 93, tells me the best memory of her parents are their stories growing up on the farm and swimming in the Merkys River just below their house. 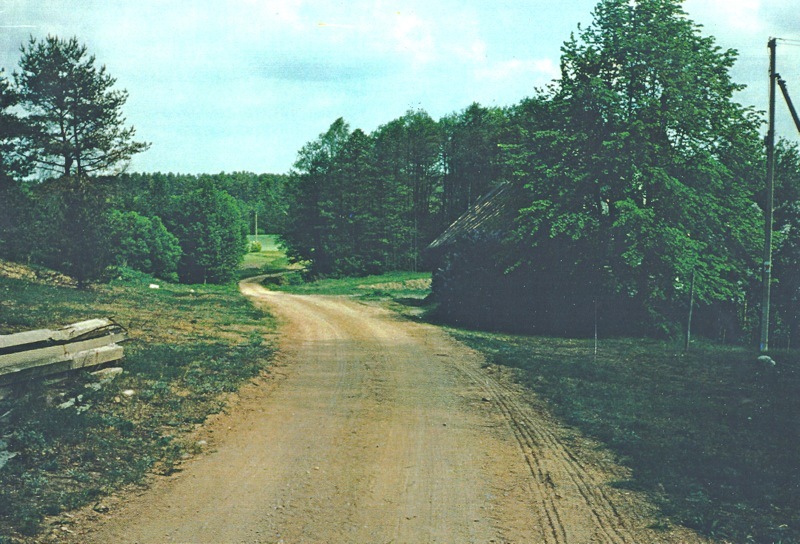 View along dirt road, Dzūkija National Park. May 17, 1993. The park was established in 1991 to preserve the landscape and villages. Entry is free with some activities requiring permits. * Pranas Sviklas – photo credit: Liongino Baliukevič, The partisans dzukas diary. 1948. June 23-July 1949. War years 1940: atrocities devastated life throughout the Baltic States. Occupied first by Soviet Union, then Nazi Germany, Lithuanians were under constant threat. They were uprooted and attacked, or in a worse fate, families were torn apart and deported to Syberia. Conditions were inhumane. I shudder at the thought of it all. By 1944 through the early 1950s, there were upwards of 100,000 Lithuanian partisans fighting against the Soviet Regime. They were called Freedom Fighters, known as the Forest Brothers, whose lives took them underground in murky bunkers thick in the forests. They fought for their homeland with provisions of little match to the Soviets, yet so strong and brave were the partisans, killed by the thousands, including the supporters that risked their own lives for their family of Brothers. 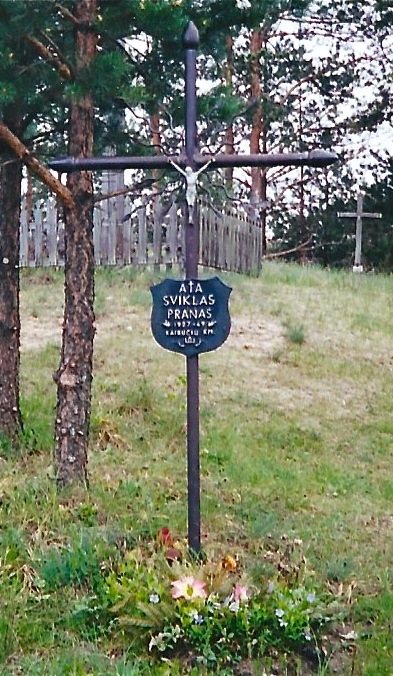 My mother’s uncle, Pranas Sviklas, was a Forest Brother, as were several other members of the family. 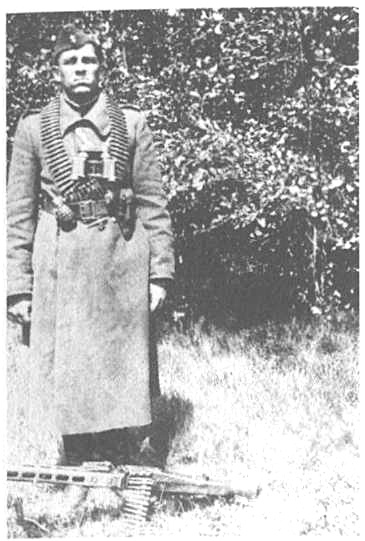 Pranas, who served as a gunner, went by the code name “Tiger”. He died in 1949 at the age of 23. His name is etched on the Merkinė Memorial for Freedom Fighters. 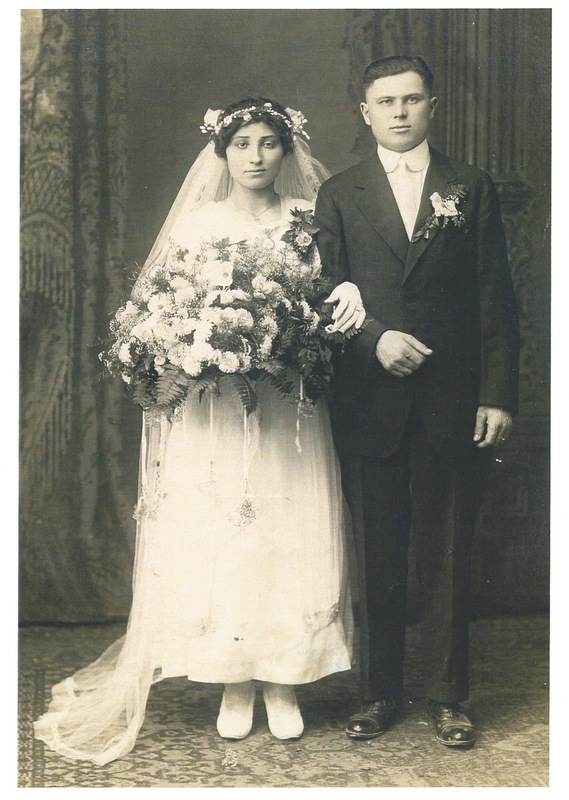 My grandfather, Thomas Kudarouskas, was very active in the Lithuanian community and helped many people establish life outside the country. It’s unknown if he had sponsorship in the States, but what is known, is his key role in transporting money, to and from Lithuania, and arranging for people to get a “ticket” to America. A courier of sorts, Thomas actually left Lithuania several years before my grandmother, Monika. It’s unclear of their relationship in their hometown of Merkinė, although the family’s hand drawn map indicates that they lived quite close to each other. It makes me wonder if marriage was in their future all along? 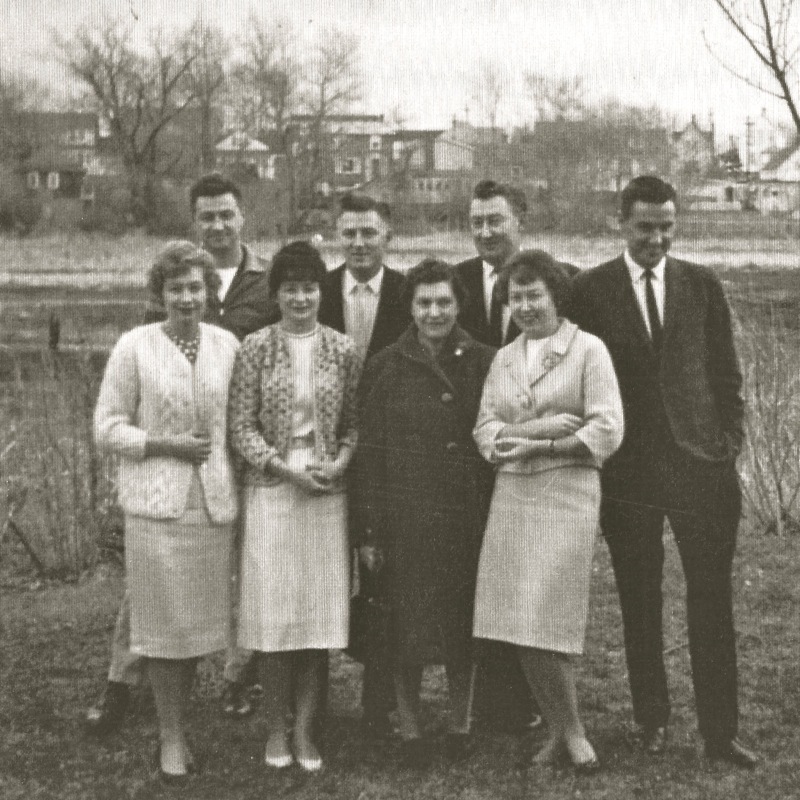 The relatives that came to America were Thomas and his brothers Joseph and Peter, and on my grandmother’s side, Monika, the only known family member of five siblings to make the journey. Monika’s sister Jane was older, in love and chose to stay behind with her boyfriend. At 16 years of age, Monika was sent to America in her sister’s place. Jane was deported to Siberia, where she perished. One descendant, Angele, (grandmother’s side) was born in Siberia and currently lives in Vilnius, the capital city of Lithuania. I do not know the fate of the other family members, or of my great grandparents, Martynas and Agatha. Children of Monika and Thomas. Top left: Alphonse, Frank, Victor, John. Bottom left: Ellen (my mom) Josephine, Lithuanian family friend, Bernice. 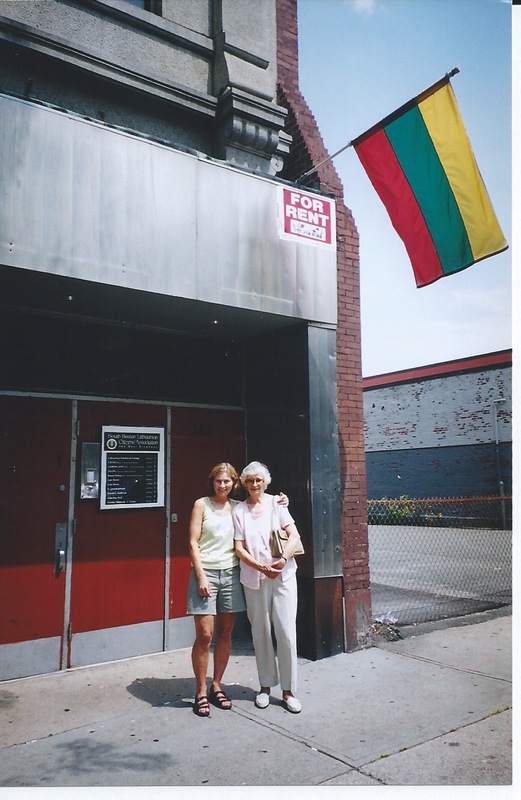 Aunt Josephine (Jo) and I at Lithuanian Club, South Boston, my hometown early years. Many visits together here. My grandmother Monika, died in 1942 at the age of 41, grandfather Thomas in 1953, the year I was born. He was 63. Thomas’ brother, Peter was a cook and lived in Saint John’s Seminary in Brighton. The other brother Joseph, was married to Christina and earned a living at the Hood Rubber Company in Watertown. I remember visiting Uncle Peter who was with us until 1964. He loved us kids. Although I never met my grandparents, I still had a strong sense of who my family was at an early age. They are spiritual, resilient, strong-willed people–nature lovers, artistic, very kind, and quiet. I’m part of who they are and will continue to learn more about their amazing story. My grandfather surely has his eyes out for Monika all along. Amen. 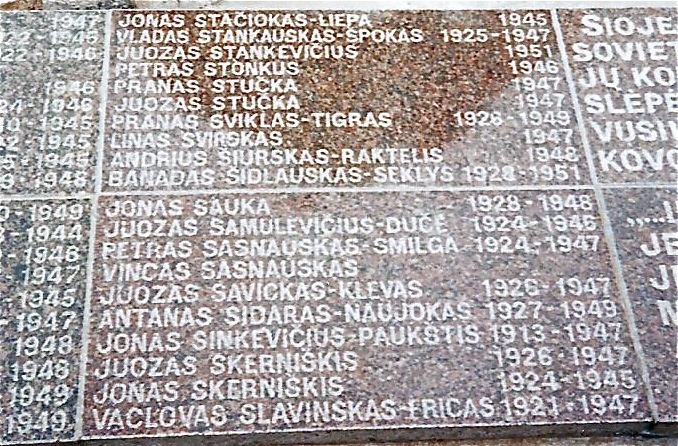 *All photos taken by family members with exception of Pranas Sviklas where noted. This entry was posted in Family, Lithuania. Bookmark the permalink.